This semester we're kicking off a Meet the Experts series of panel sessions designed to give you insight into different tech roles from the experts themselves. 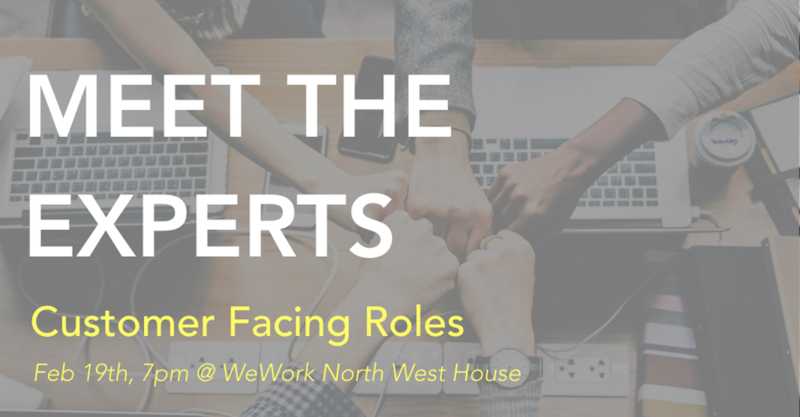 We're co-hosting this series with WeWork in order to connect students with companies looking to hire on our doorstep and to bring a mix of perspective from the LBS and WeWork communities. First up, come join us for a discussion on the rise of customer success and growth trajectory for the hottest new title in tech - Chief Customer Officer. With the rise of SaaS startups dominating the tech industry, investors have shifted their focus to customer retention and churn. As a result, we're at the beginning of a new era - Customer Success 2.0. McKinsey reported that "by artfully drawing on a CSM’s intimate customer knowledge, companies can surface opportunities to provide relevant solutions and expand customer value."